The strangest fact about the Dalai Lama’s strange life, writes Jeffrey Paines in his Washington Post review of four books on the subject, is that it remains largely untold. “Most books promoted as biographies of him hardly qualify as such and are indeed no more revealing than Testu Saiwai’s recent manga, or cartoon, biography. 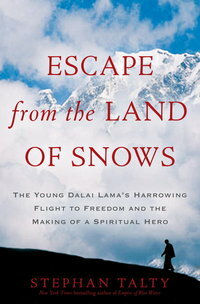 That’s why, according to the reviewer, of the recent attempts to provide insight into the Dalai Lama, the most effective one is Stephan Talty’s Escape from the Land of Snows . The author of Escape from the Land of Snow on his own book at The Huffington Post.